Back in the day, there were four ways to get flowers. You picked up an arrangement at a florist, got handed them by some guy before a date or you grew your own flowers. The fourth way only happened if you were sneaky and quick – you ran off with a floral centerpiece from a wedding or some other event. Flowers were extremely seasonal and/or pretty darn expensive. And you always looked for the best flower arranging tips to make sure they looked beautiful. In other words, flowers were once a luxury and when you had fresh flowers in your home it was special. Then things started to change. Grocery stores started carrying flowers, and then warehouse stores. Before you knew it, flowers were, well … cheap. Sometimes you can get a mixed bouquet for under $5. And if you had $20 burning a hole in your pocket, you might go all out. But for those born without the Martha gene (as in Martha Stewart for the uninitiated) those grocery bouquets might as well stay at the store. That's because you might not have the knowledge or skill to make them look like the pictures in magazines. Do you find yourself breaking into a sweat every time you try to arrange flowers? Those bouquets look so lovely and so, yes, French, when you pick them up and put them in your grocery cart. They might even inspire you to add a baguette and maybe a wedge of brie and some grapes to finish off the fantasy. So you get home, turn your radio to the jazz station, pull the flowers out of the sack and sigh. What now? Could you maybe just leave them casually on the counter for your first guest of the evening? “Oh, Madeline,” you could say in an off-hand tone, “I haven't had a chance to get to the flowers yet. Would you take care of them for me?” Great idea. But what vase? Vases? How does this work? How do you get from the paper-wrapped bundle to a finished arrangement? Let's start at the beginning, back at the store. Before you choose your first bouquet, consider what vase you're going to display them in once you get home … and our flower arranging tips explain how to match the most common flowers and vases. It really starts with your vase, and sometimes several vases. The easiest vase to work with is a bud vase. This vase is designed to hold one flower with maybe a bit of greenery. These come in a variety of styles from classic crystal to more rustic. It's inexpensive to buy one flower and it's easy to arrange. You can buy a bouquet and with a number of vases, have flowers all over your home. Etsy has a fabulous collection of bud vases, and many of them come with several designs so you can get a collection that works well together or in separate rooms like your foyer, bathroom or home office. If you're going for a specific design, you can also check out the vases available at Wayfair (some of which are shown above). Remember that bud vases with their small footprint, will fit nicely with other accessories, or pick bud vases you can leave out on a table empty. Single-flower vases work well for a bouquet using a single type of flower. The hourglass vase above is a perfect size and shape for daisies. With this type of vase, all you have to do is buy your bouquet, cut the flowers to about 2 1/2 times the height of the vase, and stick them in. Remove all the leaves that run below the water line to make sure your flowers last longer, refill or change the water every couple of days, and you're set. The vase shape, wide at the bottom, narrow somewhere in the middle, and slightly flared at the top, allows the flowers to fall into a nice arrangement. These vases come in colors, and can be casual or formal in style. Clear glass is challenging because you might worry about how the flower stems look. Neutral colors work best for those just starting to build their flower arranging skills. Black or white work nicely with jewel tone flowers, and a white vase creates an old fashion look. A bonus with the hourglass neck is the ability to add a decorative touch, like the ribbon shown or some raffia. These flower arranging tips mean you can have fun with an inexpensive bouquet of flowers, and add a nice pop of color to your home. We started with the easiest vases, the bud and hourglass vases. Now you're ready to move to more challenging options, like a column vase (straight sides), flared vase or it's smaller size, the trumpet vase (not as wide at the top as a flared vase). These vases can be round or square, and heights vary so you'll want one that works well with your favorite flowers. They encourage a lot more flowers in your arrangement, which takes a bit more planning. 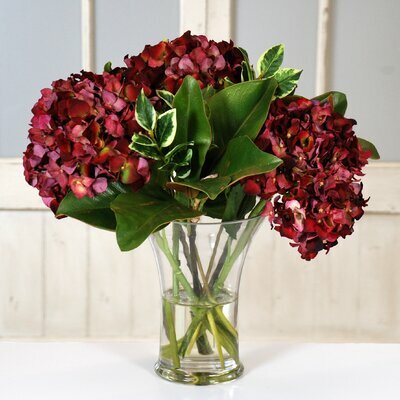 You can use them for single-flower bouquets like the hydrangeas above, or mixed flower arrangements. 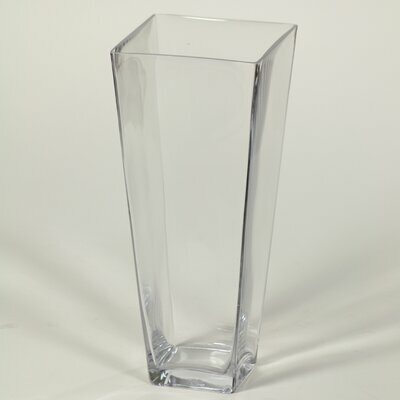 These vases may be clear glass or lead crystal with faceted sides that look expensive, but Czech lead crystal is more affordable than you might expect. Whether you're using these types of flowers, carnations, gerbera daisies or many other types of open flowers, if you cut the stems evenly they will fall into a simple and lovely arrangement. And it looks like you worked at it. And, what the heck, that colorful simple look has that sort of French feeling that fits well with a long baguette, a wedge of brie, and a few grapes … or maybe a bottle of wine! Maria is a freelance writer and blogger with 30+ years experience in all aspects of journalism. She's owned three houses and two were fixer uppers. Visit Maria on her personal blog, MutoPorterBlog. Getting the perfect vase for our home is the most challenging part. That challenge won’t be as tough from now on with your tips. Thanks for the post. I’ve been trying to redecorate my home so that it is more appropriate for this beautiful spring time. In the article you wrote that great vases can be filled with flowers or simply left empty and still make a great decor item. Since I currently don’t have any flowers ready yet in my garden, I’ll have to find a vase that would look good without them for a while. Exactly as I don’t want people to buy more than they need, as we all own too much already.